The Daily Spurgeon: My soul doth magnify the Lord! From a sermon entitled "Mary's Song," delivered December 25, 1864. 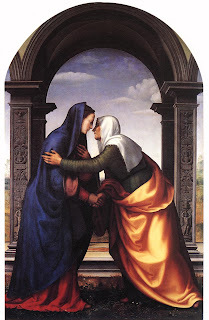 Image: Visitation by Mariotto Albertinelli (1503); in the public domain.